ASK LISA - How Do I Stop The Cycle of Anger? Ask Lisa—How Do I Trust That My Husband Has Truly Changed? He was late again. One more late night at the office, one more round of drinks with his clients, one more dinner missed. When he walked into the kitchen all he found was a plate sitting on the stove. Get access to exclusive resources only available to members, including posts, videos, worksheets, and quizzes —all designed to empower and equip you as you pursue peace spiritually +emotionally + and relationally! For many of us, peace seems like nothing more than a dream. We move through our lives with broken hearts, broken relationships, even a broken faith. 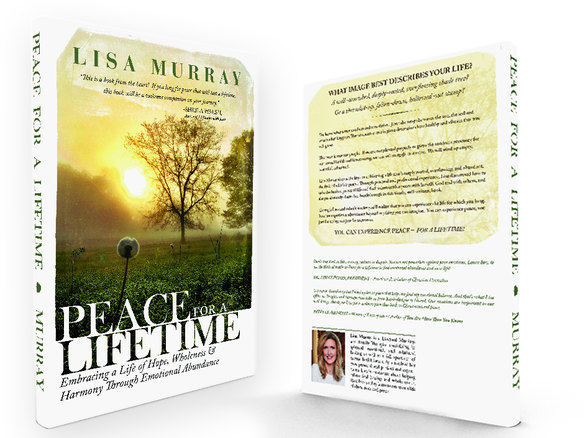 Combining my years of clinical experience with a deep commitment to my faith, “Peace For A Lifetime” will take you step by step through your journey of cultivating a life of healing, abundance and peace —peace that’s not just for today, not just for tomorrow, but peace…for a lifetime! Designed by LM Creative Solutions, ©2019.